The Union Pacific Railroad has opened its nearly $370 million Joliet Intermodal Terminal on 785 acres five miles south of Interstate 80 and seven miles east of Interstate 55. Union Pacific chairman and CEO Jim Young said at Monday's opening that the new facility will increase the system's international and domestic container capacity while improving rail traffic efficiency throughout the Chicago area. The terminal is designed to handle an annual capacity of 500,000 over-the-road trailers or oceangoing ship containers to enable Union Pacific to continue to pursue opportunities in the growing rail-truck and rail-ship markets. Neill Cartage and Warehouse has been handing some of the Chicago warehousing and crossing-dock traffic that this terminal has created. 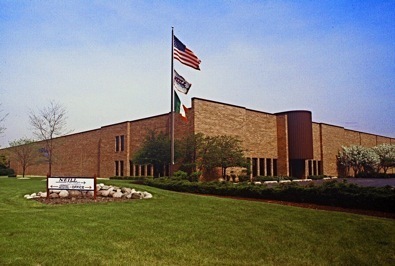 Neill is also thinking about the possibility of opening a public warehouse in Elwood, to cut down on transportation cost. If you are looking for a reliable public warehouse or cross-dock facility in that area, please let us know at info@neillcartage.com.